‘Cause that little pickle’s tuches glowed! The Pickle’s stay was short but sweet. Our exhibition team has worked quickly to take down the exhibit. 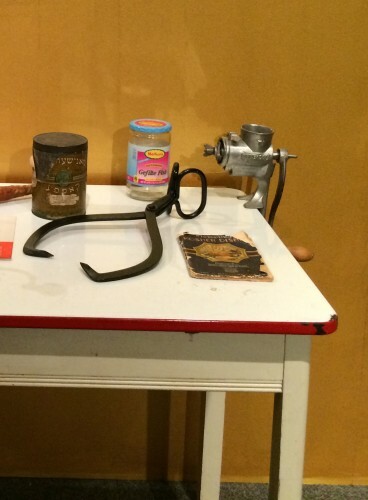 An interesting but probably little known fact about The Electrified Pickle is that the #1 Favorite Item in the exhibit amongst schoolage children who visited was not the nightmare-inducing permanent wave machine, but the humble ice tongs! #ThanksFrozen. A poetic blog post by Visitor Services Coordinator Abby Krolik. To read more posts from Abby click HERE. This summer’s unique visitor experience, The Electrified Pickle, has now come to a close. This week’s newsletter looks back at the highlights of this five week experience. 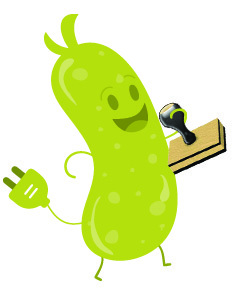 The Electrified Pickle was a community tech fair, designed to appeal to budding scientists, DIY-ers and anyone curious to learn about how things work. 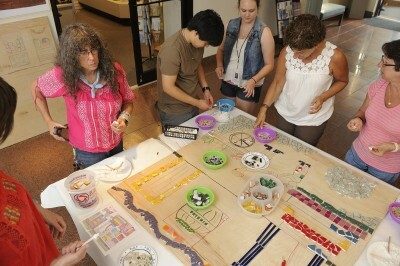 It combined artifacts, experiments, hands-on activities (including a community mosaic) and several outstanding speakers. The exhibit included items rarely seen from the JMM’s rich collection were selected and brought upstairs and placed in the Feldman Gallery. 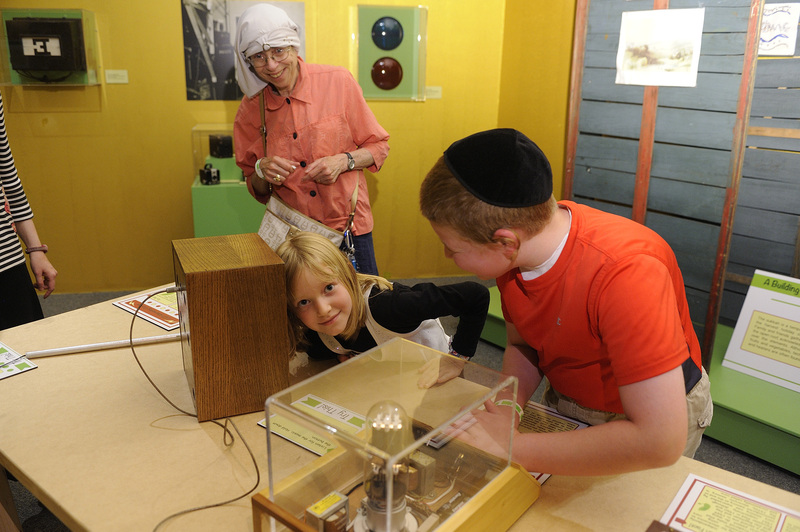 These examples of technology from the past such as old sewing machines, kitchen implements, and typewriters, were once vital to Jewish trades and home life. With the help from our partner, The National Electronics Museum in Linthicum, MD, the gallery was transformed into a participatory lab-style environment where visitors could discover the mystery behind scientific principles such as magnetism, electricity, solar power, and other fun and engaging interactive activities. These items were displayed in a way that our visitors could make comparisons with newer technologies and gain insight into the process involved in scientific innovation. In addition, our visitors watched a short film, Gefilte Fish, and found humor in watching three generations of women talk about their expertise in making gefilte fish! 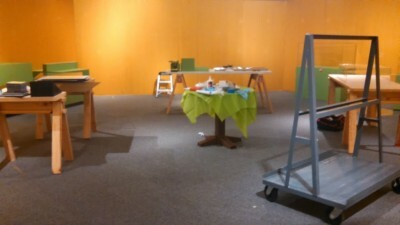 In addition to the exhibit, we developed weekly programs to help build upon some of the ideas seen within the exhibit. For five Sundays we invited community members to come to the Museum and share their expertise and passion in specific areas of technology such as engineering, crafts, robotics, electronics, and science with our visitors. Here is a quick wrap-up of the five weeks. Our Kick-off Sunday, July 13th was Power This! Our visitors were greeted to the JMM by the smell of pickle brine and vinegar- and they got to see first-hand how pickles serve as conductors and can actually be electrified. Other experiments that took place throughout the day were testing the properties of conductive and insulating play-doh and watching LED lights illuminate while making pencil dimmer switches. 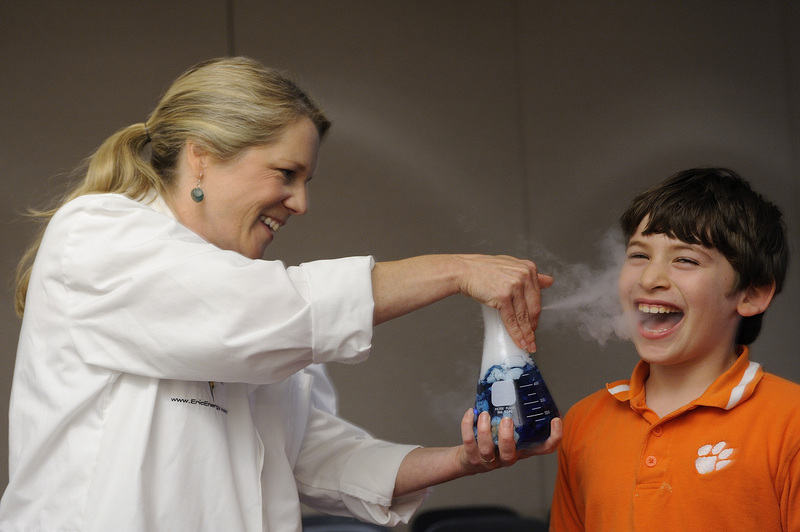 We ended the afternoon with an electrifying science performance by Extreme Jean-as she demonstrated the properties of dry ice through a variety of experiments. July 20th– Print This! informed our visitors about the history of printing. 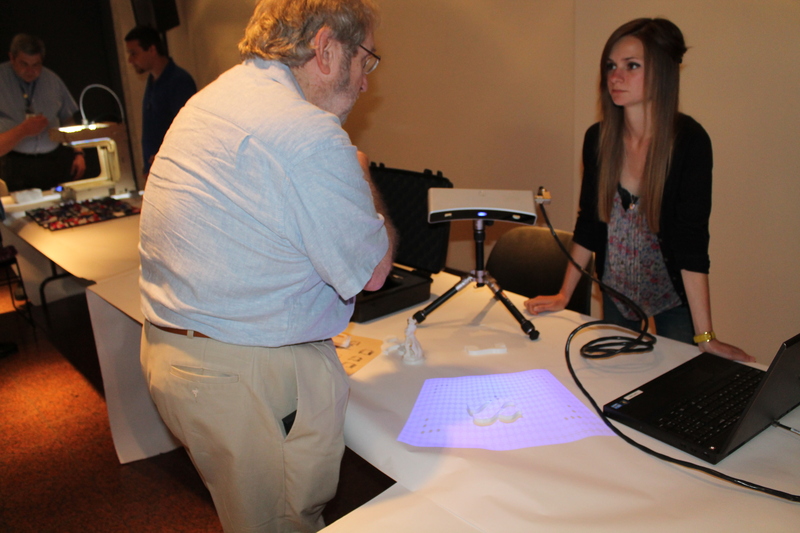 Many thanks to Direct Dimensions, Inc. and Maryland Rubber Stamp Company who helped us with their expertise in stamp/block printing to 3D scanning and imaging. Who knew that our Hebrew block letters stamps that were used to make Yiddish posters in the early 20th century could be scanned by a 3D scanner and printed out as 3D images and made into modern stamps? One of the highlights of the day was watching our younger visitors using a “heavy hand” trying to press the keys on an old portable typewriter! 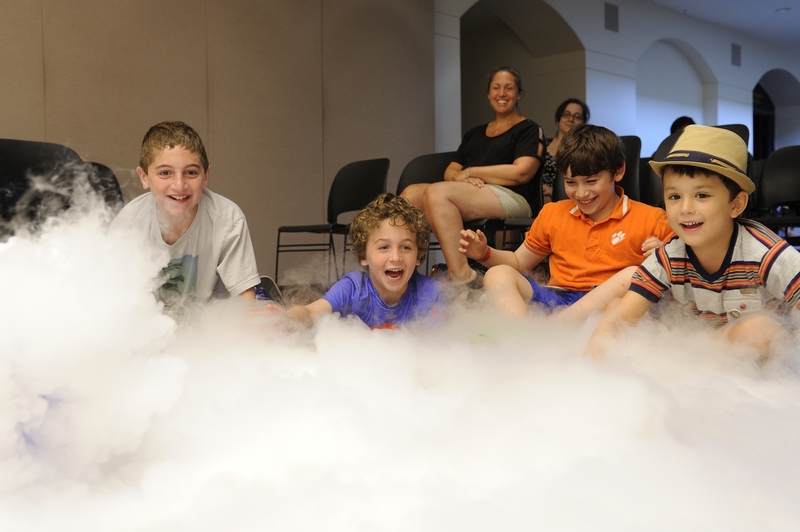 We would also like to thank Baltimore Jewish Times, a media sponsor and a special thank you to JT editor-in-chief Josh Runyan who came to the Museum for an “Ask the Editor” session. July 27th Fly This! –examined the properties of wind and the history of flight. Matt Barinholtz and FutureMakers came to the JMM and helped our visitors understand the properties of wind and resistance. 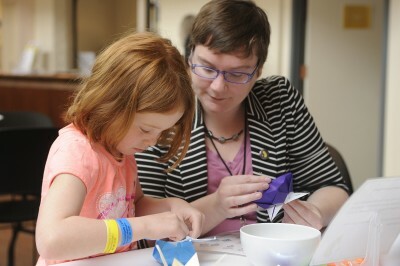 Our visitors practiced their “folding skills” making different shapes and kinds of paper airplanes. We welcomed Paul Glenshaw, who spoke to our audience about Al Welsh, an early Jewish pioneer of flight who worked closely with the Wright Brothers, but sadly died in a flying accident in College Park, MD. August 3rd – Imagine This! Robots descended on the JMM! 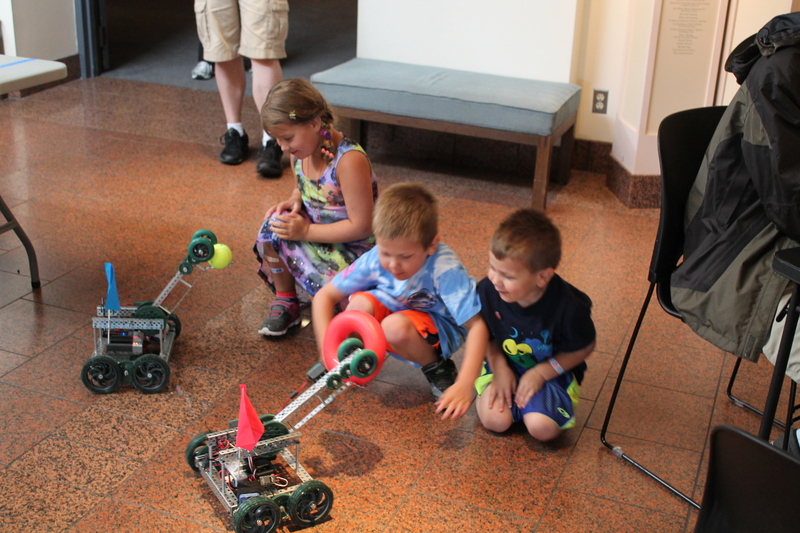 Our visitors had a blast interacting with robots of all shapes and sizes. We would like to extend our thanks Fred and Robyn Needel for all of their help and vision in bringing high school robot teams to the JMM for the event. Special thanks to Automation Intelligence Inc, for sending their AWESOME robot to the JMM. Our visitors witnessed first-hand how this sophisticated robot played JENGA, filled crates and was able to move objects around on command via technology. Also a big thank you to Neville Jacobs for bringing his team of robots. Jennifer George gave a dynamic presentation about The Art of Rube Goldberg, and spoke with affection about her famous grandfather. Our last Sunday, August 10th, we presented Code This! Our thanks go to the National Cryptology Museum and Bar Coding, Inc. who helped our visitors understand the science behind coding and decoding. Dr. David Hatch gave a wonderful lecture about the Enigma Machine and the early Jewish code breakers during WWI. Finally, we need to thank Mosaic Makers for their expertise in creating two panels for a beautiful mosaic that depicts a market scene back in the day when Lombard Street was a thriving, bustling center for market and commerce. 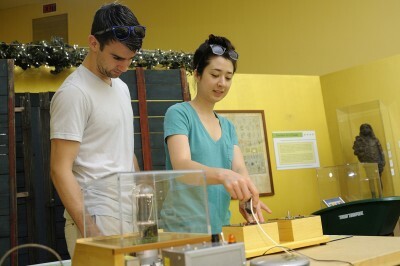 From all accounts, we heard from our visitors that the Electrified Pickle was fun, interactive and engaging. We had regular visitors who came to all five weeks of programming. 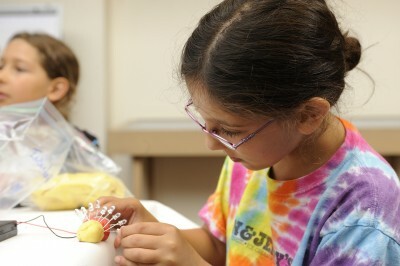 We hosted some local summer camp groups, and all of the campers loved learning about science and technology. Our older audiences enjoyed going down “memory lane” and seeing some of the technology of their youth and marvel at just how far we have come….. If you still haven’t seen the exhibit, not to worry, you have one final chance this Sunday, August 17th as the exhibit will be open regular museum hours. 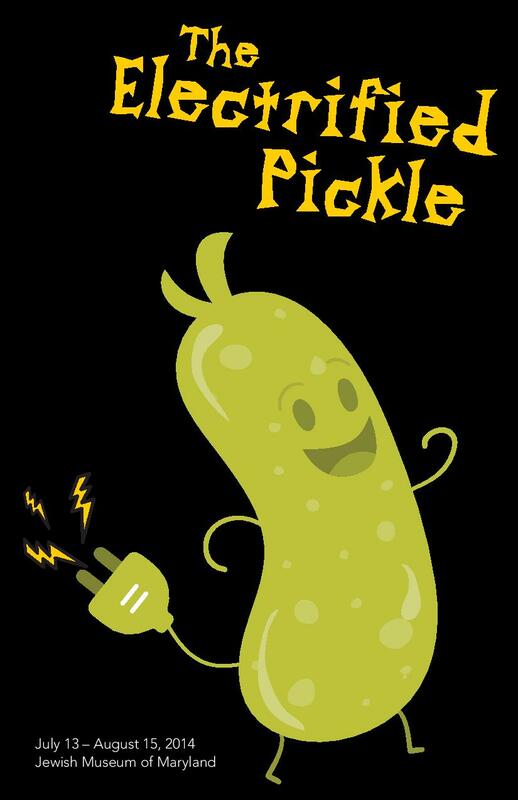 Kicking off the Electrified Pickle! 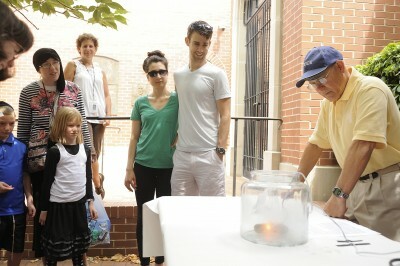 Kids and adults alike had a grand time at our opening for The Electrified Pickle! 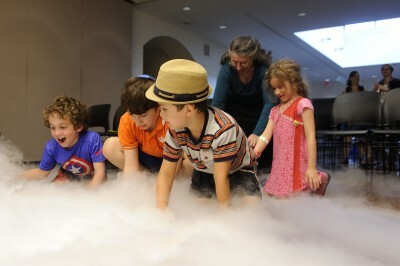 Although the smoking beaker of blue liquid didn’t happen until the end of the event, with the spectacular Extreme Jean show, the whole day was full of new experiences for our visitors. More than just a pencil…graphite is a great conductor! From 11am to 3pm, we had three stations set up for experimental demonstrations that showcased the myriad ways to harness electricity through common household items. Our wonderful volunteers from the world of engineering made pencils into sliding light dimmer switches, potatoes into batteries, and, yes, pickles into glowing sources of light (and smell)! Look at that pickle glow! Many thanks to “In A Pickle” for donating these de-LIGHT-ful dills! 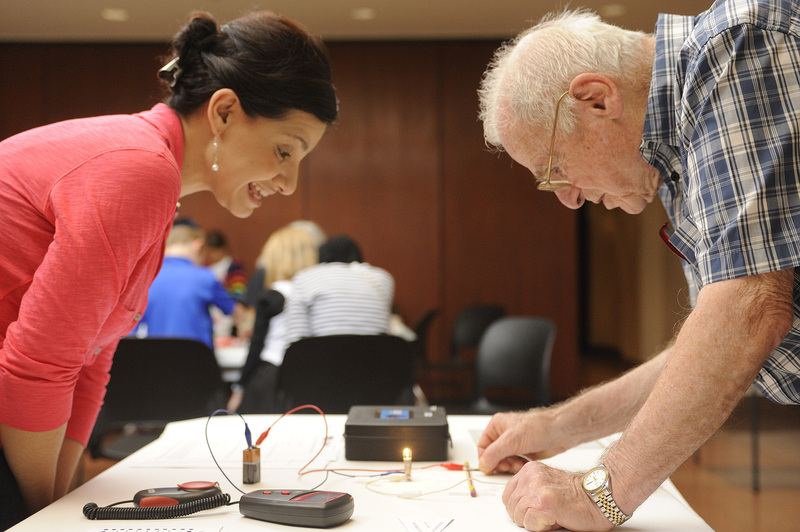 In addition to the demonstrations, we had hands-on stations where visitors could “get stuck in” conductive and insulating play dough and origami flowers and frogs that lit up with the help of LEDs and batteries. Testing the difference between insulating and conductive play dough. Creating light up flower boxes! 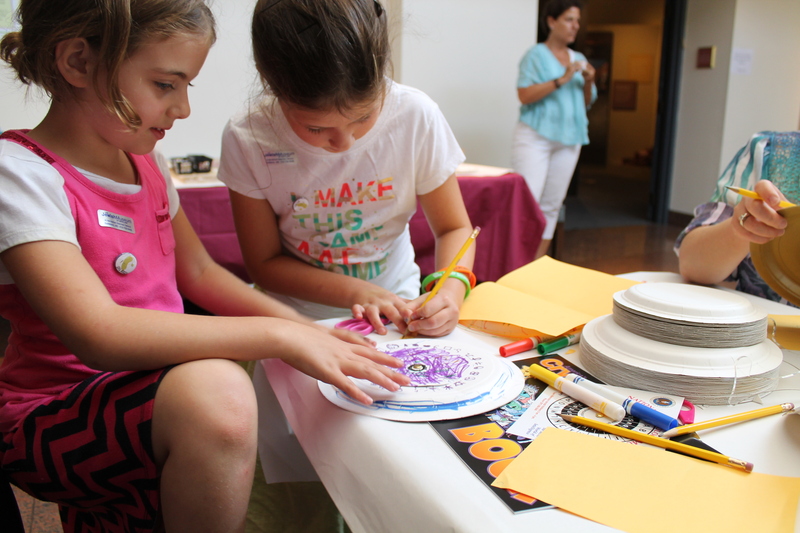 Some of the funding that helped us put together the activities for the day came from a grant awarded to us by GirlsRise Net—an organization dedicated to encouraging girls to become interested in STEM (Science, Technology, Engineering, and Math) fields. 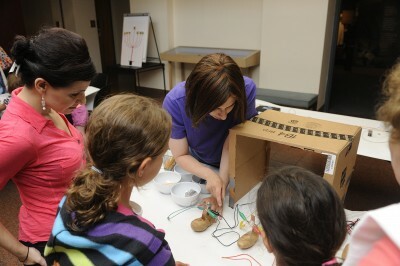 There was no way we were passing up the opportunity to combine a day dedicated the power of electricity with Girl Power! Fortunate for us, the Baltimore metropolitan area has a wide network of female scientists and engineers, which we tapped into for volunteers to help explain the science behind the demonstrations. While we didn’t want to exclude boys from the day’s activities, we did want to strike an emphasis on the presence of women in science and engineering fields. 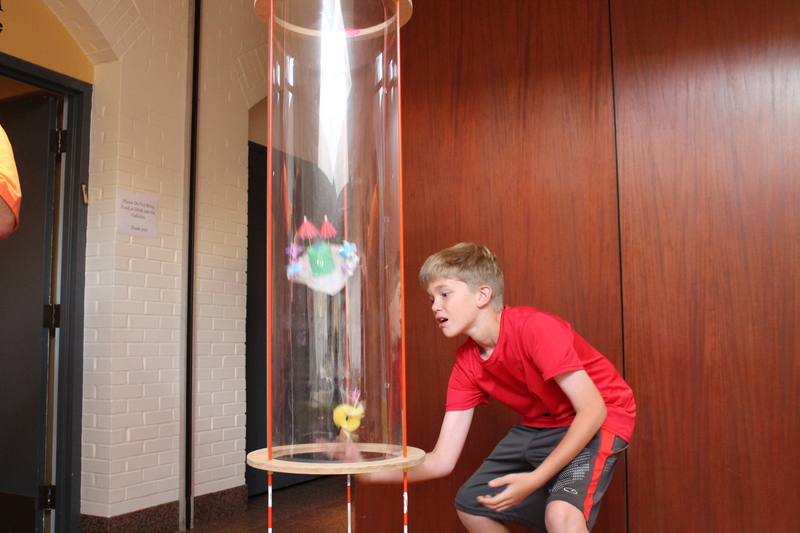 Inside the exhibit itself, visitors of all ages delighted in trying out scientific interactives that we had borrowed from one of our partners, the National Electronics Museum. Checking out the interactives on loan from the National Electronics Museum. They’re fun (and fascinating) for everyone! 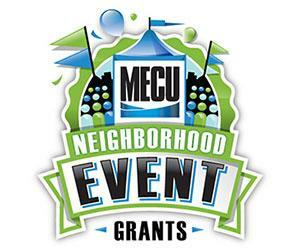 At 5pm, we transitioned from our daytime activities to our evening Electrified Pickle Community Kick-off Party, generously supported by a MECU Neighborhood grant! We started the evening with the scientific stylings of Extreme Jean. She demonstrated some wacky aspects of science, such as manipulating air streams to enable her to fill out a 5 foot plastic bag with just one breath. And what science show would be complete without having some fun with dry ice? It’s a scientific playground with Extreme Jean! After the show, representatives from another one of our partners, Mosaic Makers, got us started on our community art project. With a little help from our friends and visitors, we will be making a mosaic that will be used to decorate our newest building at 5 Lloyd St. The mosaic will be out for visitors to add to for the next 5 weeks, as we continue with The Electrified Pickle. Hard at work on our neighborhood mosaic! Come check out the exhibit and more exciting workshops and demonstrations this Sunday, with Print This! For more information about the day and about the following three Sundays, check out the “Events” section of our website! 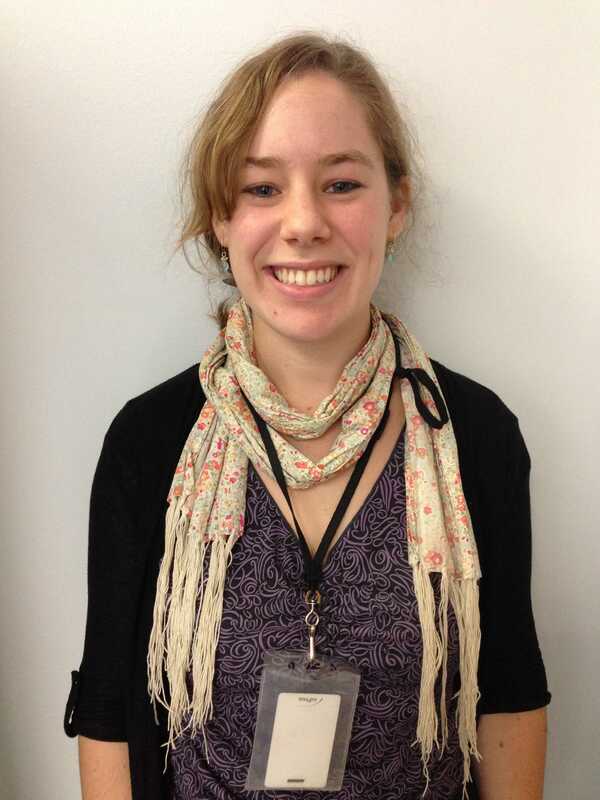 A blog post by Visitor Services Coordinator Abby Krolik. For more posts by Abby, click HERE.